A native of Philadelphia, Jerry Pinkney studied at the Philadelphia College of Art (now the University of the Arts) where, in 1992, he received the Alumni Award. He has been illustrating children’s books since 1964, illustrating over one hundred titles. 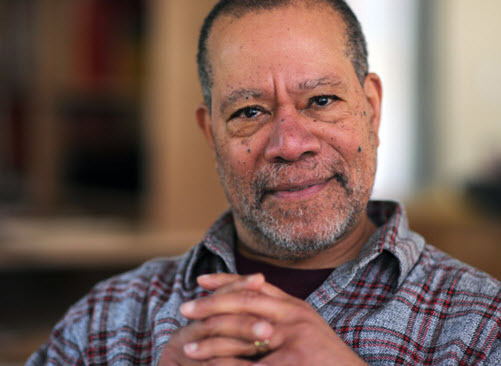 His books have been translated into sixteen languages and published in fourteen countries, and he has been the recipient of a Caldecott Medal, five Caldecott Honors, and five New York Times “Best Illustrated Books.” He has received five Coretta Scott King Awards, and four Coretta Scott King Honor Awards. Furthermore, he has received numerous awards for his body of work. In 2003, he received an Honorary Doctorate of Fine Arts from the Art Institute of Boston at Lesley University; in 2010, the Doctorate of Fine Arts, honoris causa from the Pennsylvania College of Art and Design, Lancaster, PA; and in 2012, an honorary Doctorate of Humane Letters from the Bank Street Graduate School of Education in New York. 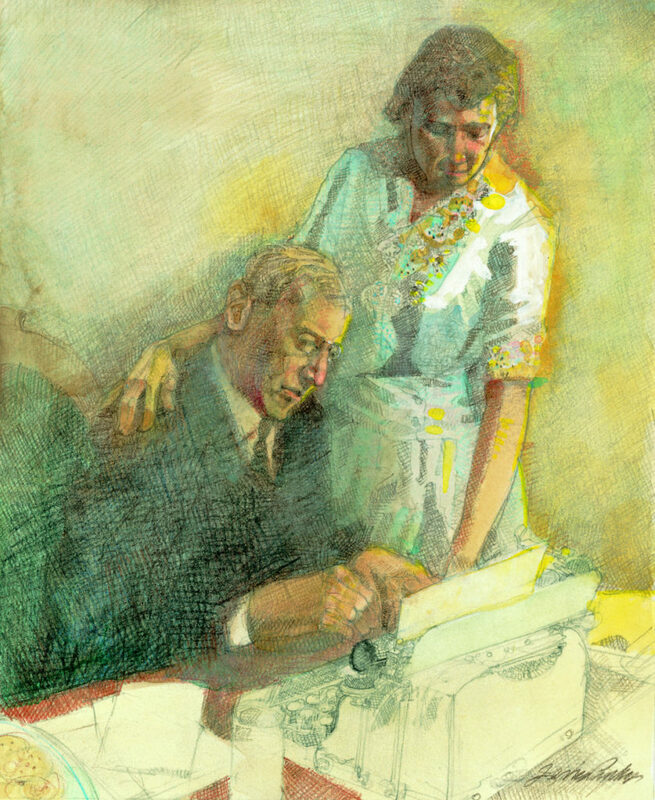 Jerry was also a United States nominee for the l997 Hans Christian Andersen Illustration Medal, recognizing those whose complete works have made a lasting contribution to children’s literature. In 2013, he was the recipient of the Distinguished Arts Award at the Governor’s Awards for the Arts in Pennsylvania. The Society of Illustrators in New York, NY has presented Jerry with four gold medals, four silver medals, the Hamilton King Award, and in 2006, their Original Arts Lifetime Achievement Award. In 2011, he was elected into the Society of Illustrators Hall of Fame. OUR WHITE HOUSE. Illustration © 2008 by Jerry Pinkney. Reproduced by permission of the publisher, Candlewick Press, Somerville, MA. Jerry has illustrated for a wide variety of clients, including the US Postal Service, National Parks Service, and National Geographic Magazine. He created art for the Harry Chapin Run Against Hunger commemorative poster, a foundation that helps bring food to those in need. He was invited to create a painting for the 30th Bologna Book Fair in Bologna, Italy and for the NASA Art Collection of the John F. Kennedy Space Center. In 2001, Jerry was invited by First Lady Laura Bush to illustrate and design the White House Christmas Program for the Visitors Center. In 2003, Jerry was appointed to the National Council of the Arts (NEA), and served from 2003 to 2009. He was also appointed to serve on the US Postal Services Citizens Stamp Advisory Committee from 1982 to 1992. In 2012, he was inducted into the American Academy of Arts and Sciences in Cambridge, MA. Additionally, Jerry is a Trustee Emeritus for the Eric Carle Museum of Picture Book Art in Amherst, MA, where he was a 2014 Honoree, and is presently a Trustee on the Board of the Katonah Museum of Art in Katonah, NY. He has held several professorships and taught at Pratt Institute in Brooklyn, NY; the University of Delaware in Newark, DE; and the University at Buffalo in Buffalo, NY. Jerry lives with his wife, author Gloria Jean Pinkney, in Westchester County, NY. From Jerry Pinkney: “It was a warm day in early September 2001 when the phone rang in my studio. I stopped work to answer; the call was from the White House. The caller was one of First Lady Laura Bush’s staff. She had been directed to contact me in regards to a project that she was interested in me creating for the art of the 2001 White House Christmas program. You can only imagine my surprise and amazement in receiving such a call. I responded with a wholehearted yes. A meeting was setup that following Thursday to meet with Mrs. Bush’s staff and White House design director. The date was September the 6th, just five days before the 9/11 attack. This would be the first of many visits to the White House. The project began in earnest the week after the horrific act of violence with what seemed like insurmountable challenges. However daunting, the project was completed and Gloria Jean, my wife, and I were invited to a reception at the White House for all the contributors who gave their time and talents to make the White House as festive, magical and inviting as possible. In so many ways, this gathering and celebration symbolized the resilience of this great country after such a national tragedy. The theme was to have the White House have the feel of a winter wonderland with fifty Christmas trees decorated in gold and silver ornaments with the trees appearing to be covered in fresh snow. I should actually say forty-nine trees, because in one of the rooms, one tree would be trimmed, yes in white, gold and silver, but also adding to the tree’s adornment were reduced scale book jackets from books I’ve illustrated. “In 2003, I was appointed by President George Bush to serve on the National Council on the Arts—NEA. I would serve for six years. Over this time, council members would be invited to events held at the White House where the NEA played some role. How much fun it was for me to be able to recognize many of the Honor Guards and service staff. In 2002 and in 2005, the Pinkney publishing family was invited to participate in the National Book Festival. There would be dinner at the Library of Congress the evening before the festival and breakfast the morning of the event at the White House.